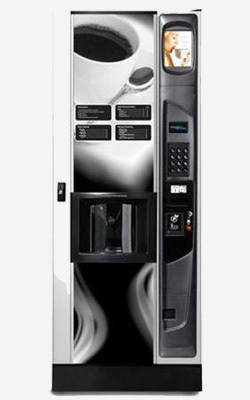 Available in fresh brew, the Geneva dispenses a broad menu of premium and specialty coffees and serves them just the way your customers like them. With a state-of-the-art brewing system and precise ingredient controls, they are ensured a high-quality cup each and every time. From 11 basic up to 34 possible selections. Delivery & Set-Up is available; Please contact us for additional information and Fee. *A $415.00 Freight Charge will be added to the Base Price, and is reflected in the Total above.